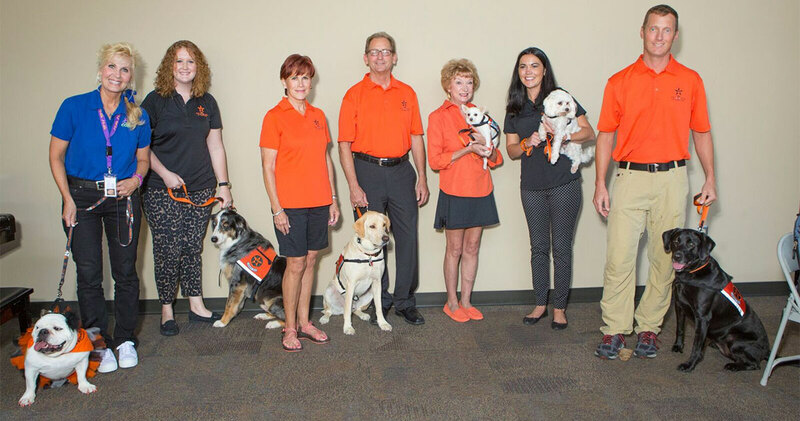 Pete's Pet Posse, OSU's Pet Therapy Program, was established as a wellness program in 2013 and expanded to include Pete's Pet Posse Tulsa at OSU-Tulsa and OSU Center for Health Sciences in 2015. The second class of P3T dogs graduated in August 2016. Our latest Pup of the Month is Maggie! Read about why she's known as "Mags the Glad." 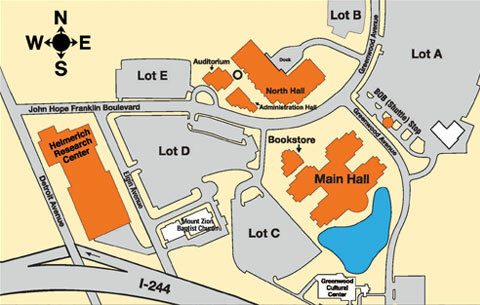 The program is a cooperative effort of the OSU President's Office, OSU College of Veterinary Medicine, OSU Veterinary Medical Hospital, University Counseling, Human Resources and the Employee Assistance Program. Pet therapy teams must apply to be part of the program and applications are submitted to the Pete's Pet Posse Tulsa Advisory Board. Once the owner/handler completes an interview, the dog then meets with the independent trainer for a disposition evaluation and also completes a wellness exam by the program veterinarian. The Pete's Pet Posse Tulsa Advisory Board oversees the program and makes the final determination for acceptance into the program. Once accepted into the program animals complete extensive training, including a Canine Good Citizen certificate and registration with Alliance of Therapy Dogs. Dogs then serve in their department and also participate in special appearances across campus. The dogs provide an additional wellness benefit to faculty, staff, students, and even visitors. The OSU College of Veterinary Medicine oversees the wellness care of the animals and ensures the animals are maintaining a healthy lifestyle. These animals belong to families of employees and others affiliated with OSU-CHS and OSU-Tulsa. They are not owned by the university. They live with their humans full time and make the campus a little brighter orange each time their furry feet hit the campus. Pete’s Pet Posse was created to positively enhance physical and emotional health and contribute to the success of being America's HEALTHIEST Campus®. Email the Tulsa Pete's Pet Posse Program Coordinator.